In this edition the Rock N Roll Archaeologist digs very deep into the events of the Altamont Music festival held on December 6th, 1969. 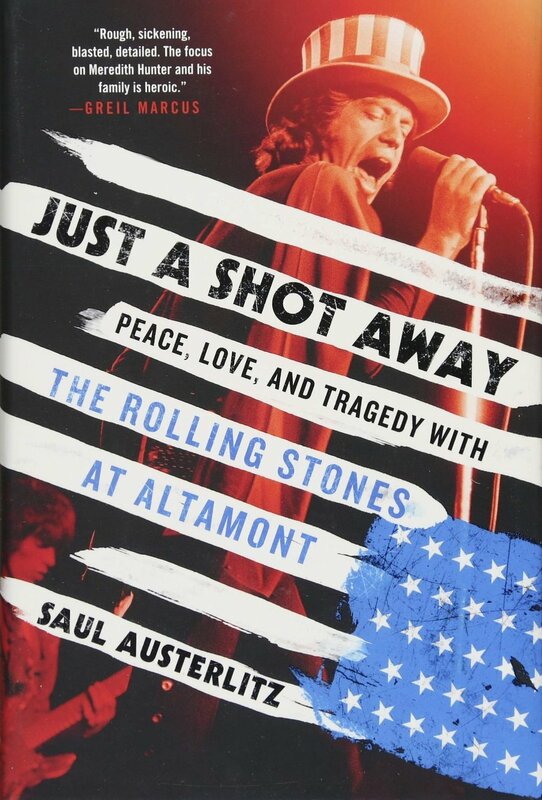 Our special guest is author Saul Austerlitz whose latest book is “Just a Shot Away: Peace, Love and Tragedy with the Rolling Stones at Altamont”. Saul is a long time music journalist who has had work published in the LA Times, NY Times, Boston Globe, Slate, the Village Voice, The New Republic, the SF Chronicle, Spin, Rolling Stone, and Paste. He is the author of several previous books, including Money for Nothing: A History of the Music Video from the Beatles to the White Stripes. In Just a Shot Away, writer and critic Saul Austerlitz tells the story of “Woodstock West,” where the Rolling Stones hoped to end their 1969 American tour triumphantly with the help of the Grateful Dead, the Jefferson Airplane, and 300,000 fans. Instead the concert featured a harrowing series of disasters, starting with the concert’s haphazard planning. The bad acid kicked in early. The Hells Angels, hired to handle security, began to prey on the concertgoers. And not long after the Rolling Stones went on, an 18-year-old African-American named Meredith Hunter was stabbed by the Angels in front of the stage. The show, and the Woodstock high, were over. Austerlitz shows how Hunter’s death came to symbolize the end of an era while the trial of his accused murderer epitomized the racial tensions that still underlie America. He also finds a silver lining in the concert in how Rolling Stone’s coverage of it helped create a new form of music journalism, while the making of the movie about Altamont, Gimme Shelter, birthed new forms of documentary. Using scores of new interviews with Paul Kantner, Jann Wenner, journalist John Burks, filmmaker Joan Churchill, and many members of the Rolling Stones' inner circle, as well as Meredith Hunter's family, Austerlitz shows that you can’t understand the ‘60s or rock and roll if you don’t come to grips with Altamont. Join Christian and Saul as they discuss the book in great detail.